These compact machines for small-lot production are specially designed for easy disassembly and cleaning. They are available for processing chicken bones and cartilage, as well as raw and frozen meat. 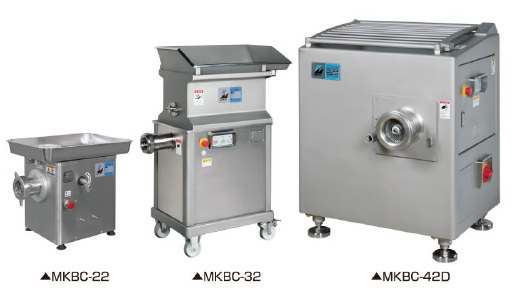 The MKBC-42 model incorporates a force feeding screw, which reduces labor costs by reducing the operator's work load.